Our guided trail and fell runs are a worry free way of getting those miles in on the trails and fells of the Lake District. You simply come along, put the effort in, enjoy the views and have fun! With our expert local knowledge and a huge choice of routes and variety of terrain to choose from we find runs that suit you. You tell us what you want from the run, what experience you have and how far you want to run and we do the planning, route choice and carry any safety kit. Our bespoke guided runs are for individuals, couples and small groups of up to 6 people. Larger group bookings (i.e. running clubs) - please contact us to discuss your requirements and for an individual quotation. Bookings being taken now. Please contact me via email or call on 07738 274107 to check availability and discuss your requirements. 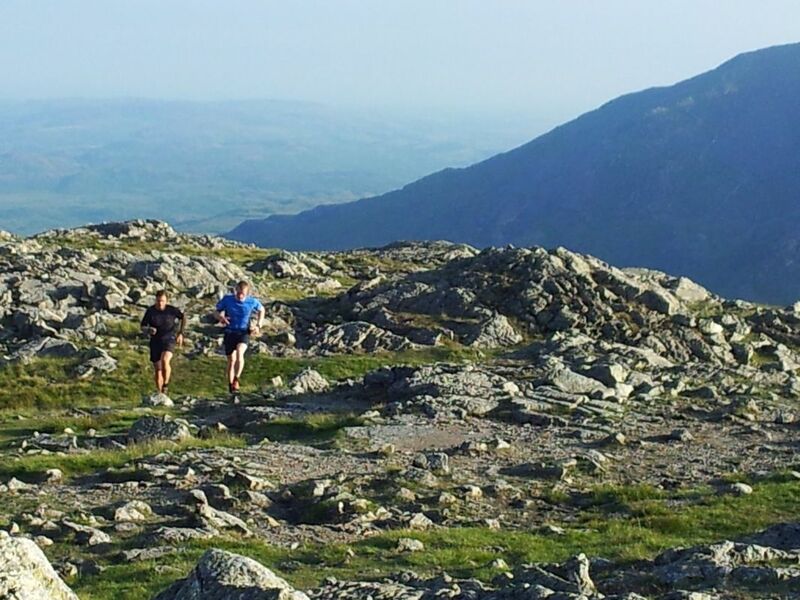 These weekends are all about introducing you to trail-running in the beautiful Lake District. They are ideal for those who want to extend their running skills and experience through running on a variety of routes and terrain but without the need to navigate. The pace will be relaxing so that you have a fun and enjoyable time whilst building confidence and the necessary skills to run on the trails and in the fells. Evening discussion on kit, nutrition, route choice, safety, and more. UK Athletics qualified coach and experienced female guide. We let you choose and book your own accommodation – there’s a huge choice of it in Ambleside. We meet up for an evening meal at one of the many restaurants. The weekend starts about 6pm on Friday evening and finishes about 3pm on Sunday. What kit to bring on your runs? Bum bag or running pack to carry kit in. These are popular and fill up fast, so call today on 07738 274107 to secure your place. Or email me if you prefer. We'll answer any questions you have about the weekend and talk you through it prior to you booking! Alongside my mountaineering skills and qualifications (see about us) I am a UKA/FRA Fell Running coach. I have run and raced for many years starting with road and cross country as a member of Wilmslow RC but quickly found enjoyment in running on trails and fells. I have lived in Ambleside for 11 years and am a member of Ambleside AC one of the top fell-running clubs in the country. I am one of the founder coaches of Ambleside AC’s successful junior section coaching the children every week on Loughrigg fell. I also captained the ladies team in 2013, one of several years they won the British and English fell running Championships and have been part of the successful Vets team for several years. I spend the winter months in Spain and so get to enjoy running in the beuatiful mountains of Costa Blanca! Kate with her running companion Don on Puig Campana, Spain.